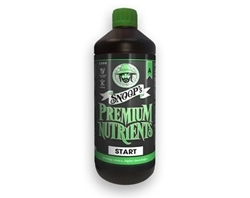 Snoop's Premium Nutrients offer a complete nutrient range created by Snoop Dogg himself. With a passion for quality and yield, Snoop developed his own range of nutrients with the help of scientists and individuals who specialise in hydroponic plant feeds. Snoop's Premium Nutrients cater to your method of growing. Snoop's Circulating is suitable for hydroponic use. When using Snoop's circulating nutrients your waste water usage is significantly reduced. The recipe is tailor made taking into consideration the fact the nutrients pass through the root zone multiple times. When nutrients pass through the root zone the cation NH4+ is always take first which depletes it each time the feed water recirculates. Snoop's circulating recipe has elevated levels of the NH4+ to solve this problem. 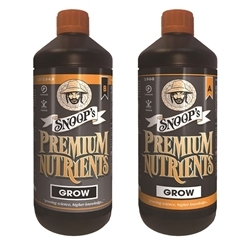 Snoop's Premium Nutrients cater to your method of growing. Snoop's Premium Coco Nutrients is suitable for those using a Coco Potting mix. 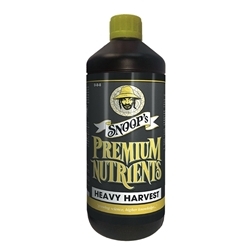 Snoop's coco nutrients have been formulated so that you achieve premium results from your coco substrate. The recipe is tailor made taking into consideration the elements already present in the background EC of the coco due to the buffering process coco goes through. Snoops Heavy Harvest is bloom stimulating booster. Plants work hardest during the bloom phase. They need much higher levels of phosphates (P) and potassium (K) in order to produce flowers. 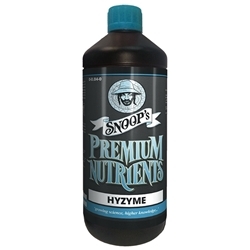 Snoop's Premium Nutrients Hyzyme is a liquid natural enzyme preparation that encourages fast decomposition of dead and dying roots. In nature the plant root zone is a microhabitat which contains naturally occurring micro-organisms. Snoop's Premium Nutrients cater to your method of growing. Snoop's Non-Circulating is suitable for Run to waste systems. 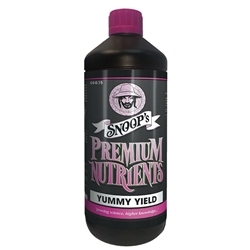 Snoop's Premium recipe is tailor made taking into consideration the fact that the nutrients pass through the root zone only once. When this happens the exact ratio of each element they require is delivered.To reach their full potential, plants in the growth phase require a balanced intake of cations and anions. SNOOP’S PREMIUM GROW has been specifically formulated to provide your plants with the ideal proportion of nutrients for the growth phase increasing your crop’s ability to grow strong and large. 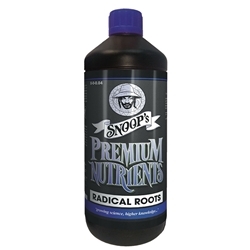 Snoop's Premium Nutrients Radical Roots is a powerful, effective root feed and root enhancer. Roots are vital for successful growth. SNOOP’S PREMIUM NUTRIENTS RADICAL ROOTS is a unique product specifically formulated to promote the development of strong roots. SNOOP'S PREMIUM Nutrients Start is a A&B formula perfectly suited for young seedlings, cuttings and young plants. SNOOP’S PREMIUM NUTRIENTS YUMMY YIELD is a unique growth promoter which aids photosynthesis throughout the entire life cycle as well as flower growth in the bloom phase. SNOOP’S PREMIUM NUTRIENTS YUMMY YIELD also helps regulate the opening and closing of the stomata allowing efficient water use.